This full day trip will explore two unique and fascinating places in Naivasha. 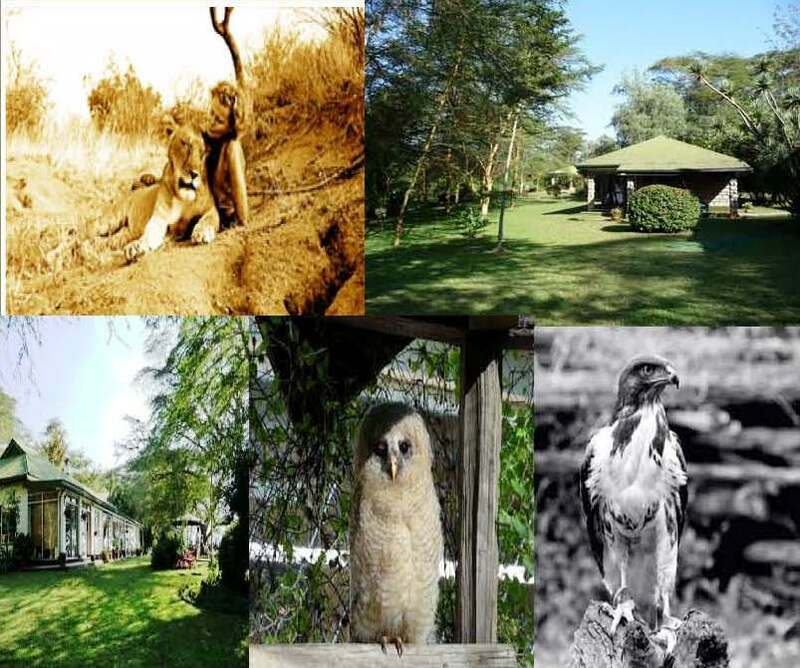 Our first stop will be at The Naivasha Owl Centre, started in 2003 with a little Barn Owl called Fulstop who was brought in with a badly damaged wing. This resulted in the owner, Sarah, building an owlery for Fulstop. From there injured or orphaned owls and then eagles and other raptors started to come in. The centre has a small clinic and works with a veterinary surgeon and a falconer. The birds are treated for injuries and sicknesses or poisoning and are looked after until they fully recover. They are then released either back where they came from (provided it is deemed safe for them) or into the correct type of terrain for them, all under the watchful eye of the KWS. The birds that are too badly injured or sick to be returned to the wild remain at the centre. In some cases they become teaching birds to help people, particularly children, to understand the importance of birds of prey and the vital role they play in this increasingly dangerous world. The other birds that can be released, but have a fellow injured partner are allowed to breed and their young are then released into the wild. To culminate our tour, we will visit Elsamere, a nature lover’s paradise with a great variety of bird life, wildlife and splendid flora. This is also a former home of Joy and George Adamson, where history connects with the future as conservation is their main objective. There are limited spaces for this tour, so please register and pay to secure your space.